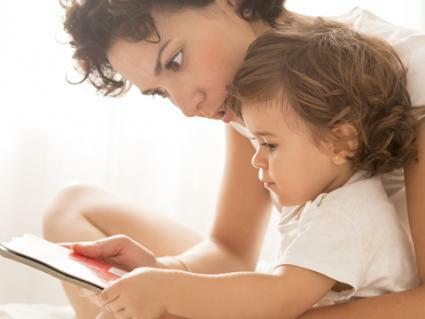 Despite the popularity of e-readers, kids love traditional books. There's something special about holding a printed book and turning a page. Printable bookmarks for kids help make reading fun. The following bookmarks are free to download and print. Each bookmark sheet has four designs, each featuring fun text. Make the bookmarks last longer by laminating them or printing on card stock. You can also hole-punch the top and add a ribbon. A purring cat, a whimsical owl, cupcakes, and a growing apple tree are featured designs on this bookmark sheet. 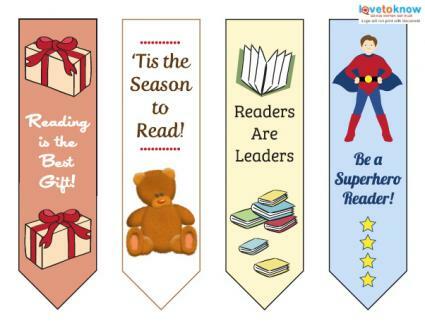 Use these bookmarks to reward and encourage kids to read, or to remind them that reading is a gift. Each bookmark includes an inspirational saying and a fun picture. K12 Reader has bookmarks featuring kid-friendly pictures such as butterflies, dinosaurs, and ice cream. It's easy to create custom bookmarks using DLTK's website. Choose your theme, saying, size, fonts, and colors. 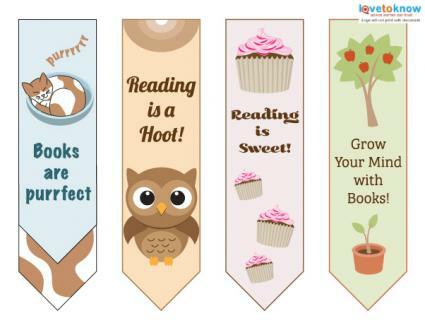 Mocha Bay Design has put together a list of printable bookmarks for a variety of themes including coloring bookmarks, educational bookmarks, and holiday bookmarks. If you're a parent, grandparent, or teacher, you inspire kids to read when you give them a bookmark. Bookmarks are a tool that helps foster a lifelong love of reading. Tuck one into your child's backpack, Christmas stocking, or their favorite book.